Drones are great gadgets. Since they were first invented people have been able to capture footage and angles they wouldn’t have ever been able to previously. 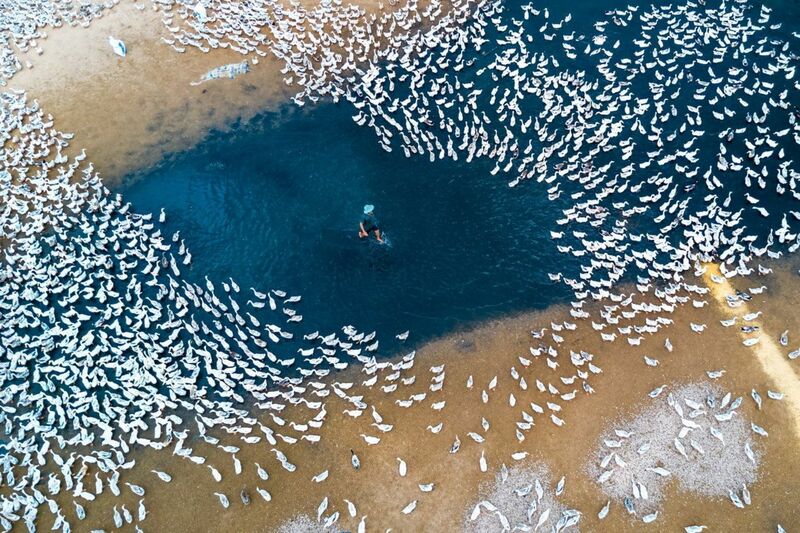 Sometimes, trying to get a shot might be too dangerous for a human to snap with a traditional camera, but with a drone, the job is way more accessible. 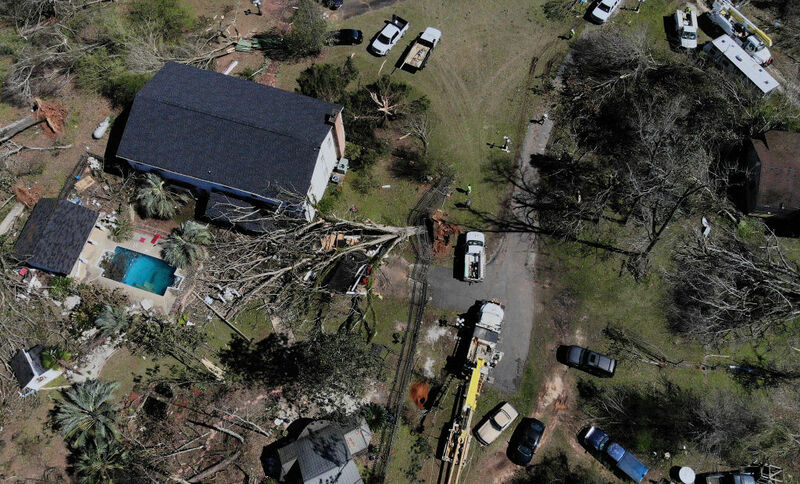 In a few cases, people have come across things they weren’t expecting while using their aerial devices and the results have been frightening at times. 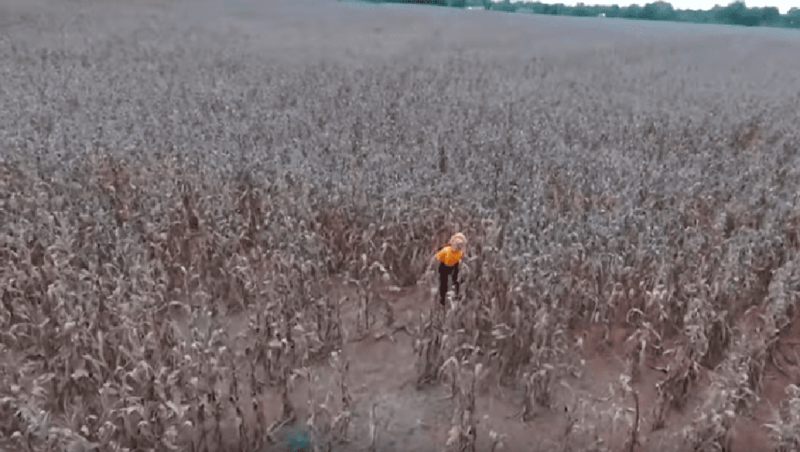 Have you ever seen a clown wandering a corn field all by himself? You’ll have to read on to learn about that odd setup! 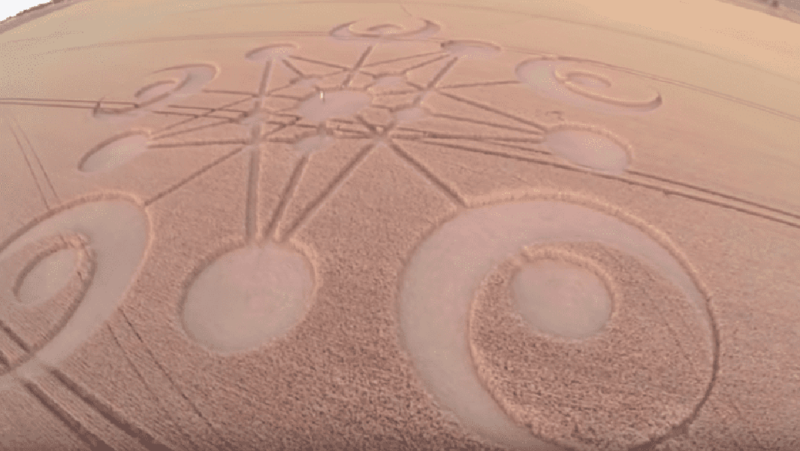 What are crop circles? They’re elaborate and “random” shapes carved into crop fields. Many people believe crop circles are the work of life forms from other planets. How else are these enormous circles created overnight? Clearing out crops and forming these complex shapes and lines isn’t something that is ordinarily completed in just one day or night. This drone might very well have captured proof of aliens out there. Woah. 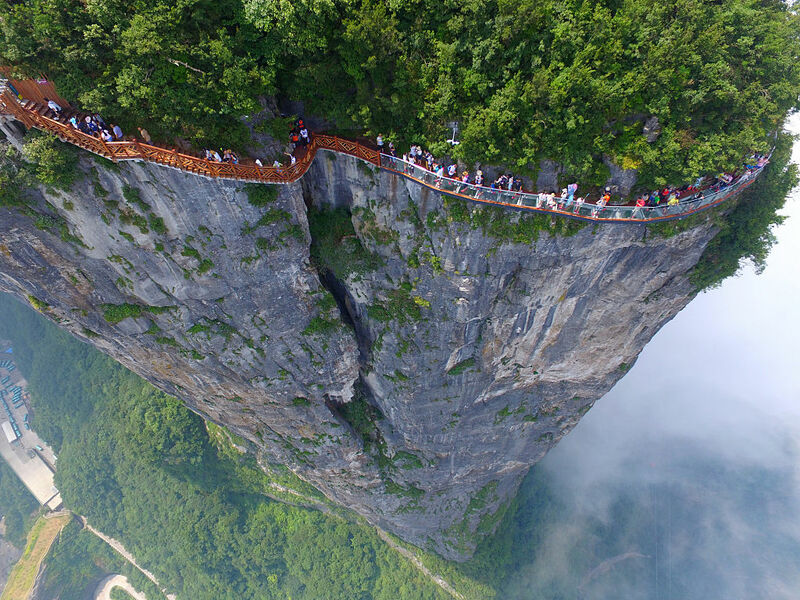 Located in Zhangjiajie, China, this 100-meter-long and 1.6 meter-wide glass skywalk is attached to the cliff of Tianmen Mountain. Yes, the trail is made out of glass. We’re hoping it’s the toughest glass this planet has to offer. You’ve got to be pretty brave to walk on sheer glass this high up in the sky. You couldn’t pay us enough to walk even one step across this skywalk. This is even scarier to think about than it is to see. As terrifying as this may seem for the person doing the climbing, it’s a very interesting photo. It’s so interesting that it won first place at the 2016 International Drone Footage Photography awards. This contest is highly competitive, so for this to be the winner speaks volumes. 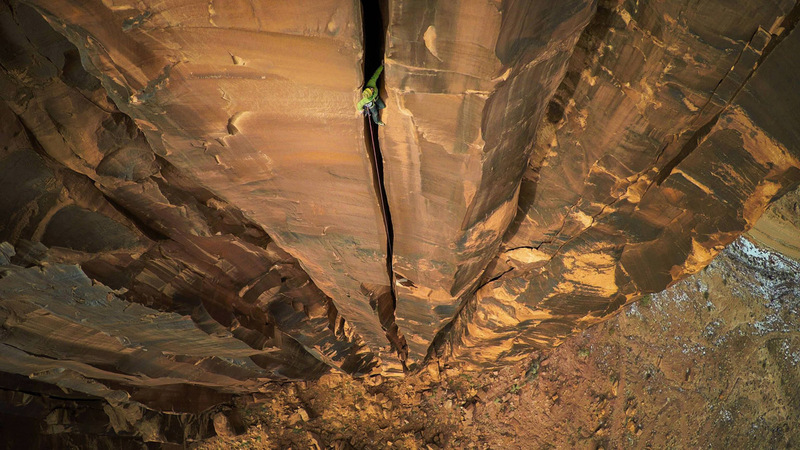 People admire the courage of the climber and also the breathtaking shot that the drone captured. This photo was taken in Denmark and the man is just scaling this incredible mountain chimney. Natural disasters aren’t anything you want to get involved with if you can help it. They have the power to destroy everything in their paths and make life miserable for all living creatures in the way. Once you get the news of one approaching where you are, you’ll want to get away ASAP. This photo inspires sheer terror. Imagine lying in your bed and then out of nowhere your whole home begins to slip away! 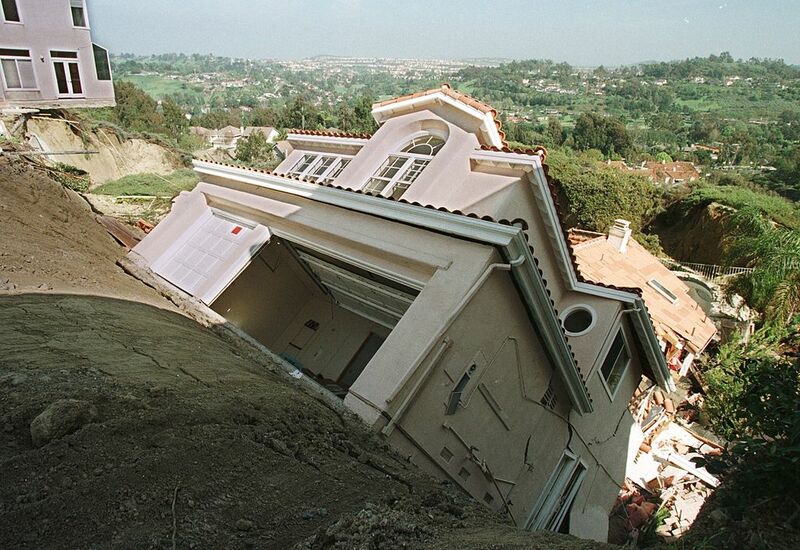 This sliding issue happened thanks to El Niño. Sometimes, mother nature is something you can’t avoid and will not be beaten. This is a prime example of that. 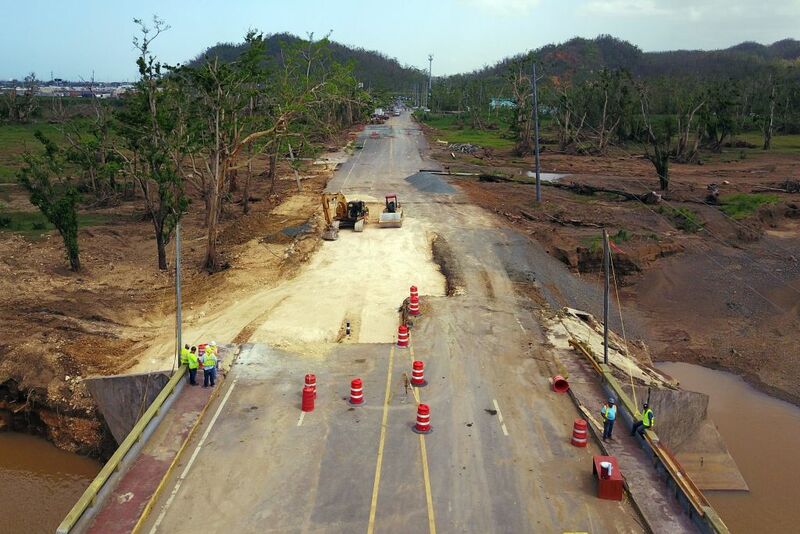 The road in this picture is located in Puerto Rico and is the after-effects of Hurricane Maria in 2017. When roads become only a trace of what they used to be, then you know something deadly took place. It looks like a scene from a superhero movie after the final fight of the film. This is just as much disheartening as it is terrifying. Okay, why would anyone want to dress up as a clown and walk through a cornfield? Is this a person out of a horror film or is he trying to start some kind of viral hoax? We hope no one was hurt while this clown was out there. Cornfields are already scary enough since they are associated with horror movies, cult sacrifices, and UFOs. This eerie scene just gave us the chills. We sure do hope these two didn’t become shark meat! In any event, this is an extremely close call that a drone captured. 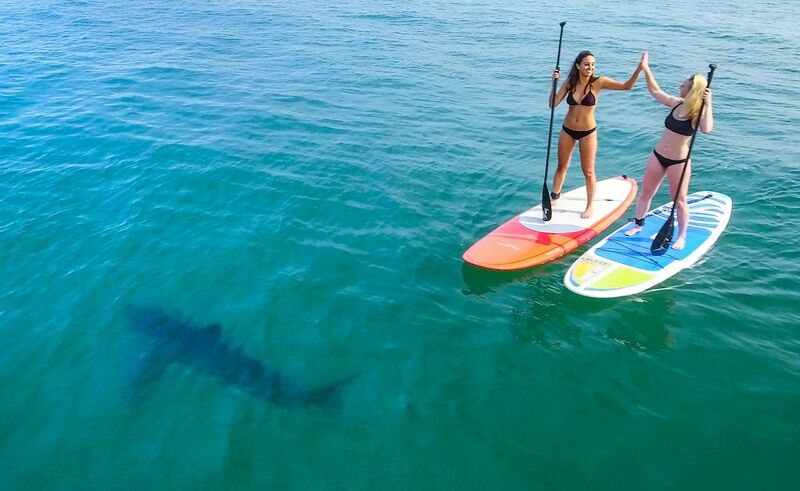 These two ladies are enjoying their day on the water, giving each other high-fives with no clue that a killer shark is just feet away from them. They look happy now, but we wonder what their reaction was if they happened to see the vicious creature lurking just beneath them. We bet their mood did a complete 180! The population of this city used to be at a million, but that all changed after Syria suffered from a civil war for five years. 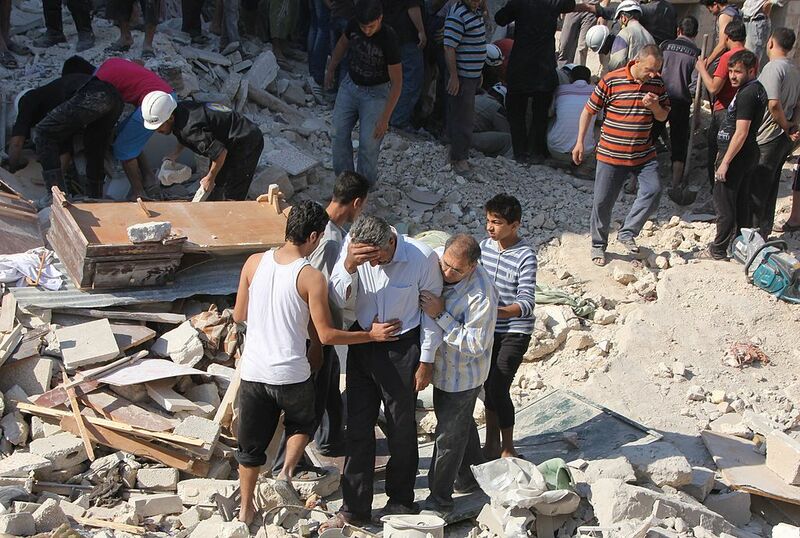 The lasting result is rubble and debris everywhere, along with distraught and displaced individuals. The war started in 2011 after the people were sick of the tyranny. They were met with violent suppression. This left millions of Syrians without a home and tons fled the country to find a safer place to live. 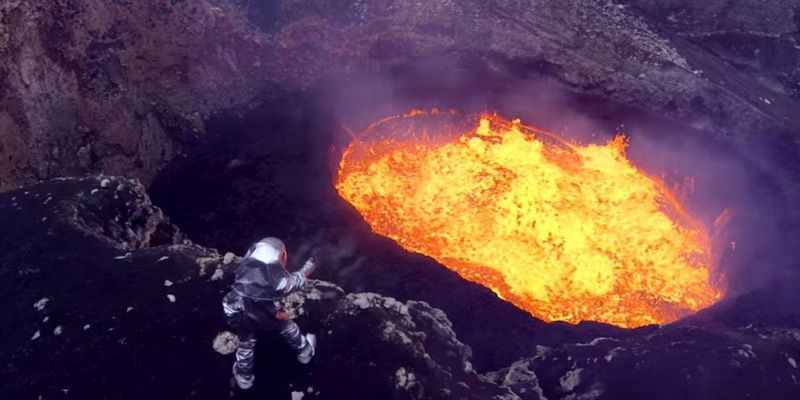 Lava is extraordinarily hot… and that’s an understatement. Getting too close to it would be detrimental for your life. This man in a silver suit peers over the edge of this crater as he stares certain death in the eyes. If he were to slip or if the edge were to break off, he’d be extremely lucky to make it out of there alive. This should be scary for whoever that is standing there, and nerve-wracking for whoever sees the shocking image. Sharks and whales are some of the most threatening creatures in the sea. If a shark sniffs out blood, he is going to find it. Meanwhile, some whales like to attack things just for the fun of it. It looks like these two got off to the wrong foot. 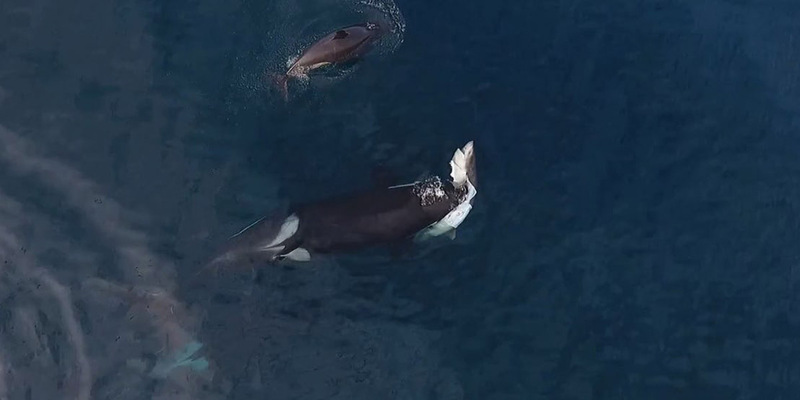 The shark didn’t recognize what it was going up against until the killer whale made its move. That’s too bad for the shark and great that no one else was nearby. Imagine going away for a few hours, leaving your home in perfect condition, only to come back to this decimation. What makes it worse is that some of the homes on the block survived while others became ashes. 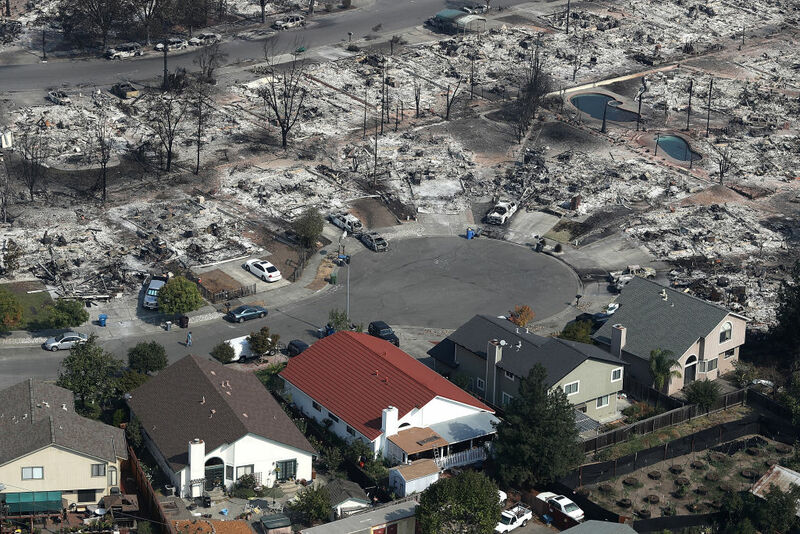 This is the result of the Tubbs Fire in Northern California. The fire earned that name because it started near Tubbs Lane on October 8, 2017, but didn’t finish until Halloween. 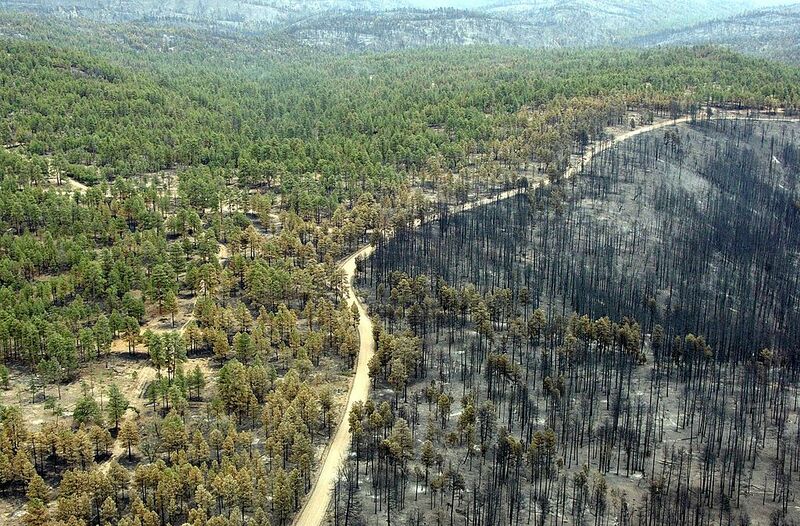 Wind gusts helped increase the devastation of the fire across the communities it affected. How horrifying this must have been to see. To look at the image and think that you’re seeing a mass of blood in the water. The good news is that it was just oil. The bad news is that it was just oil. 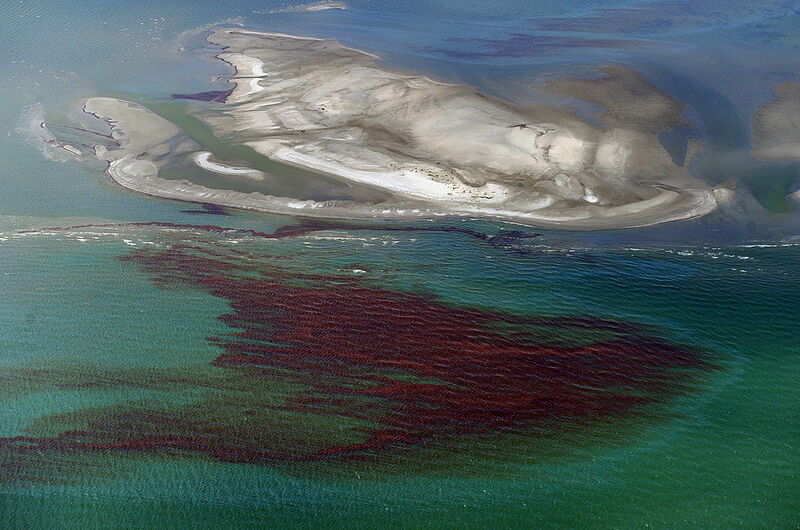 Oil is extremely bad for the ocean and its inhabiting creatures. Workers had to prevent the growing slick from reaching Louisiana’s coast from its Gulf of Mexico origins. If it had reached the wetlands, it would have been catastrophic. Found on Staten Island is a perfect place for lost spirits to roam around. The Arthur Kill Ship Graveyard was a place for people to place damaged ships during World War II. These days, no one dares to cross the no trespassing sign. There are about three dozen ships out there rusting away as the days go by. 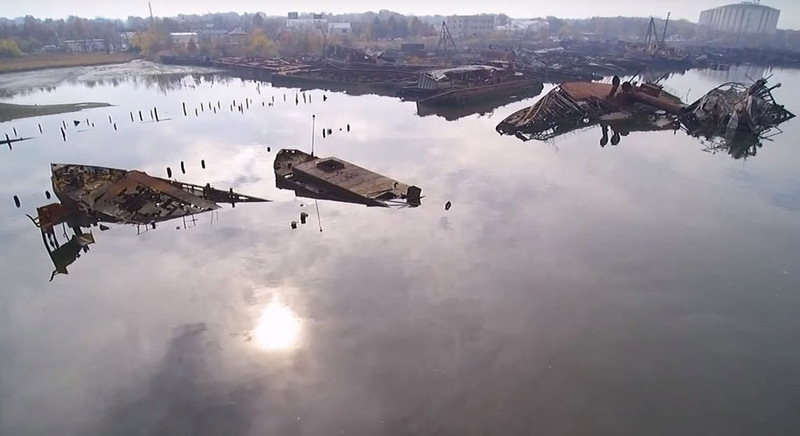 We don’t know about you, but abandoned, old, half-sunken ships are something that brings about chills. The story behind this pic is pretty funny. A person was hired to film a wind turbine with a drone. 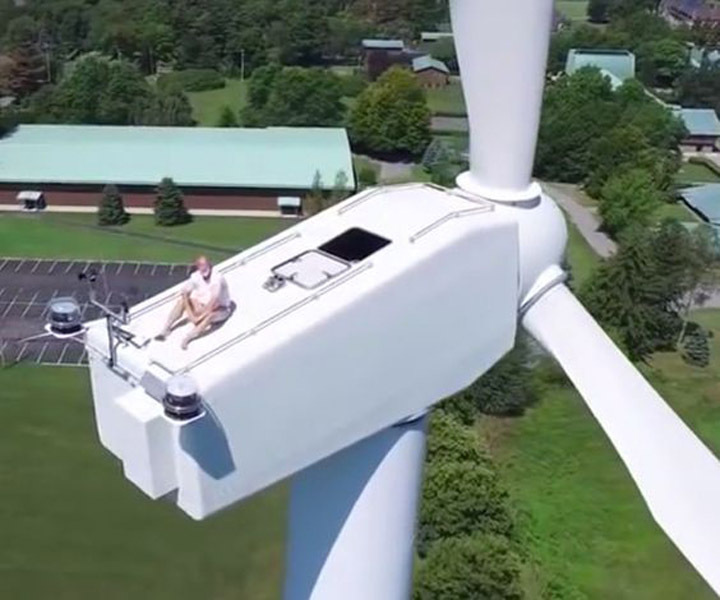 As he reached the top of the turbine, he was surprised to see an older gentleman sitting on top, nonchalantly sunbathing! For him, it was probably no big deal. For others, that’s a long way up! Having a fear of heights wouldn’t allow you to get anywhere near the top of this windmill. We hope this picture doesn’t make you feel scared just by looking at it! Well, here we are again with another scary scene provided thanks to the mysterious ocean. 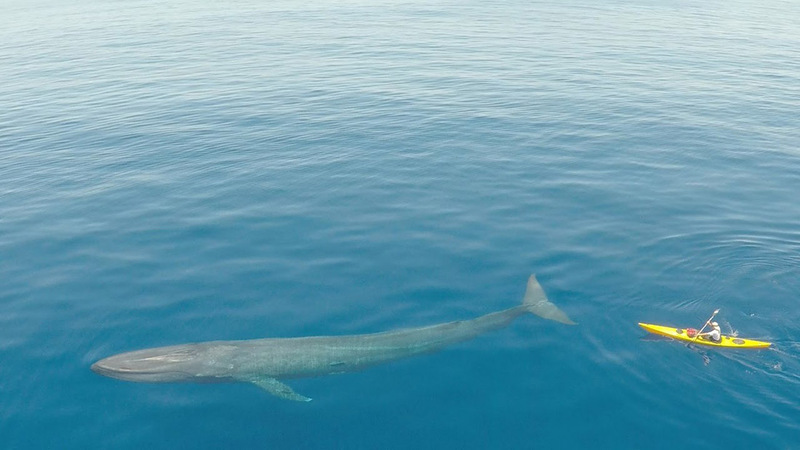 The deep blue is full of surprises, kind sea creatures like dolphins, and giant animals like this whale. Some whales pay you no attention, but on the other hand, there are some that will attack for fun. We wonder if this guy knew the whale was there or if it just popped up out of nowhere. Whatever the case, we sure hope he’s doing fine after this close encounter! There are so many TV shows and movies out today that place in a dystopian setting. Perhaps the shows’ writers are trying to warn us of possible future scenarios. 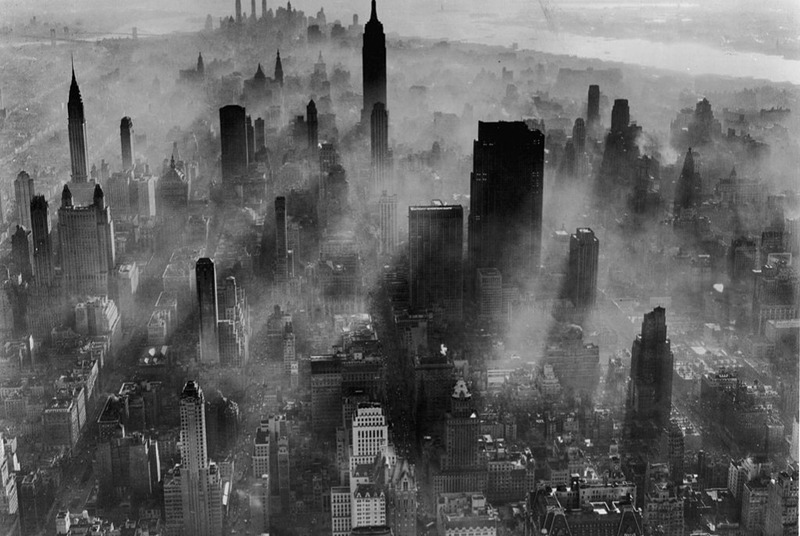 Whatever the case, this picture of Manhattan has that doomsday vibe to it. Have you ever been in murky water? If you said no, then we sure hope you keep it that way, because there’s no telling what’s lurking in there. 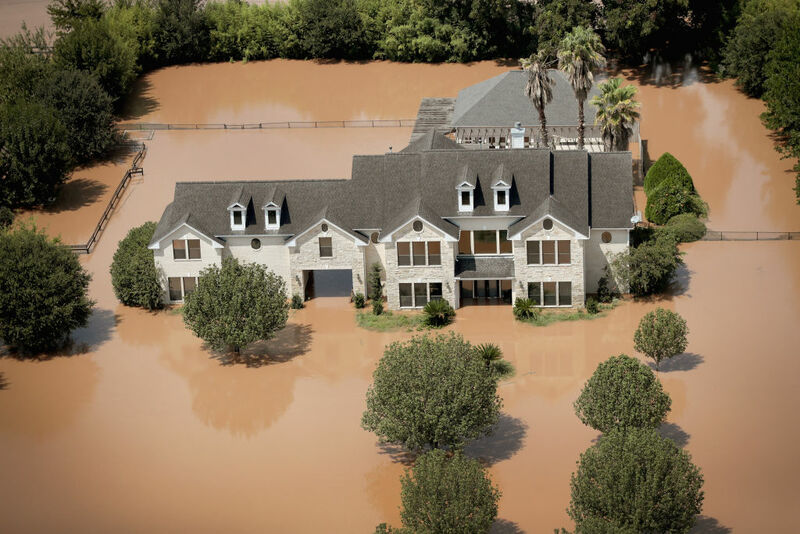 After Hurricane Harvey hit Southeast Texas, many homes looked like this. The scariest part is how high the water is and the mystery of what could be swimming in that water. Thankfully, the water doesn’t reach that height too quickly or else someone might have been trapped inside with nowhere to go… unless they wanted to test the waters or wait for help. Are you afraid of ducks? If so, the correct name for your fear is Anatidaephobia. A person with this condition feels that a duck or goose is watching him or her. Not even attacking them, just watching. Imagine if you were someone with that condition and took a stroll here. Then, out of nowhere this giant flock comes and surrounds you. Thankfully, this is a Vietnam farmer harvesting their meat and feathers. He’s probably not scared of them. Many Asian farmers make their livings from ducks. On one side of the road, there is life and blooming flowers as well as gorgeous green as far as the eye can see. On the other side of the road, however, is nothing but the bleak aftermath of the Rodeo–Chediski Fire. This image goes to show that things shouldn’t be taken for granted. Officials had to tame 1,300 square kilometers to make sure this thing didn’t get any more out of control. The thought of being reduced to ashes is frightening. Being able to see through the thick fog here is a tough task. You can only see so far in these conditions. Imagine seeing this for the first time once the fog cleared? One might get a little shock upon seeing a huge statue on top of this church. 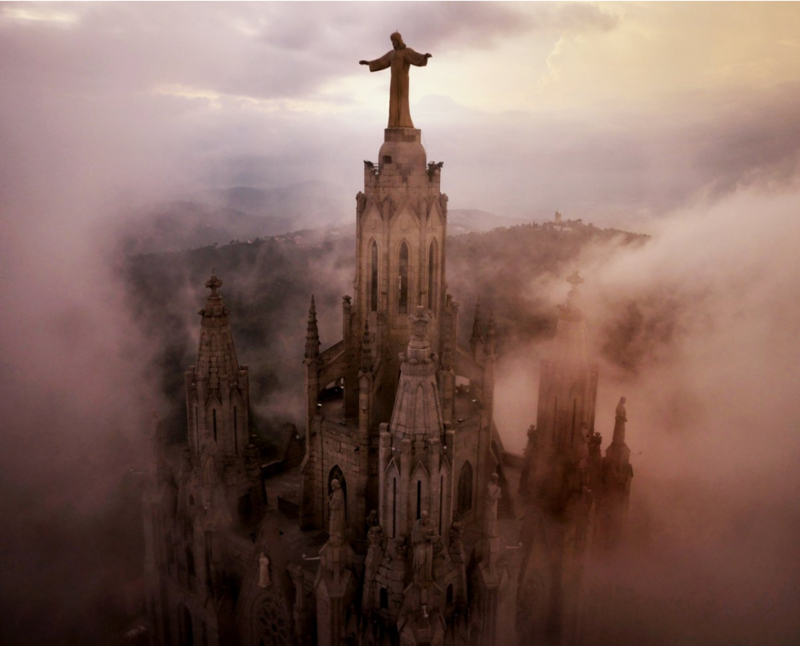 This is the Sagrat Cor Church in Barcelona, Spain. Those in Spain are probably accustomed to this sight, but this statue is chilling to us. He appears to be watching everyone while perched up there. School shootings are some of the most messed up things that can happen in society. Why would anyone want to target kids while they are trying to get an education? It’s as sad as it is horrifying to worry if your child made it out of school okay in these all-too-common events. 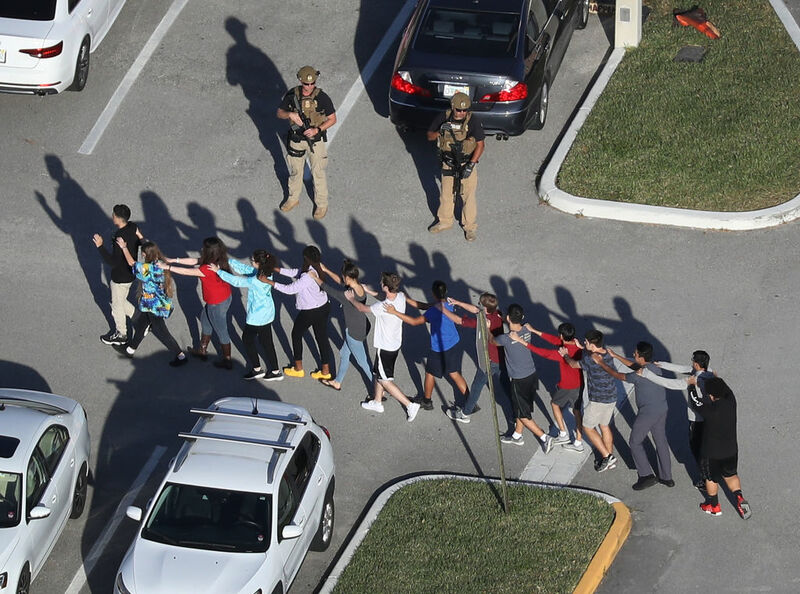 Here is a photo caught of kids leaving the campus after a shooting happened. You can see the armed men watching to make sure the children are safe as they evacuate. Is That A Giant Baby? This isn’t creepy at all. 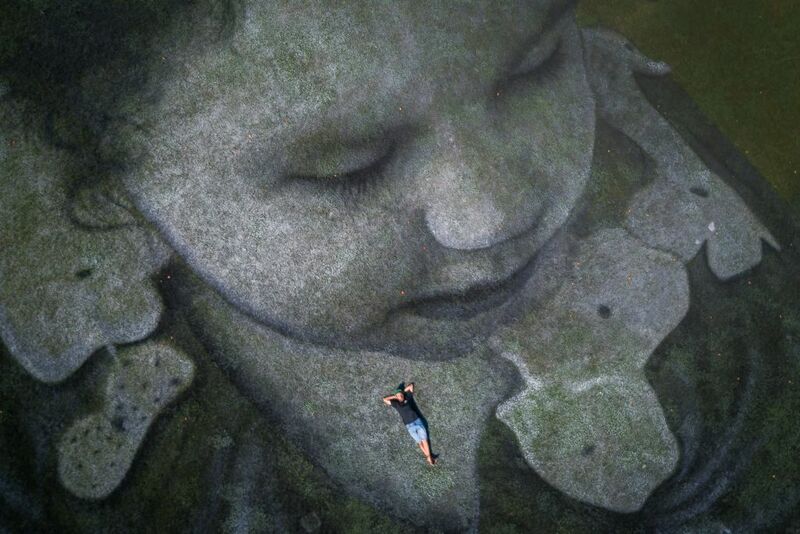 Just a French artist laying on top of his giant land art. If you were flying over this we don’t think you’d probably be a little bit startled before you’d become appreciative of the art. The piece depicts a little girl dropping an origami boat into Lake Geneva. The art is for a good purpose, but people’s initial reactions might not be as open-minded to it as the artist might have been hoping. Have you ever experienced what it’s like to almost drown? What about having a monster-sized wave bringing you under? Those are some of the scariest feelings you can experience while swimming. It isn’t fun. The tiny human in this picture looks like he’s about to get eaten by this giant wave. 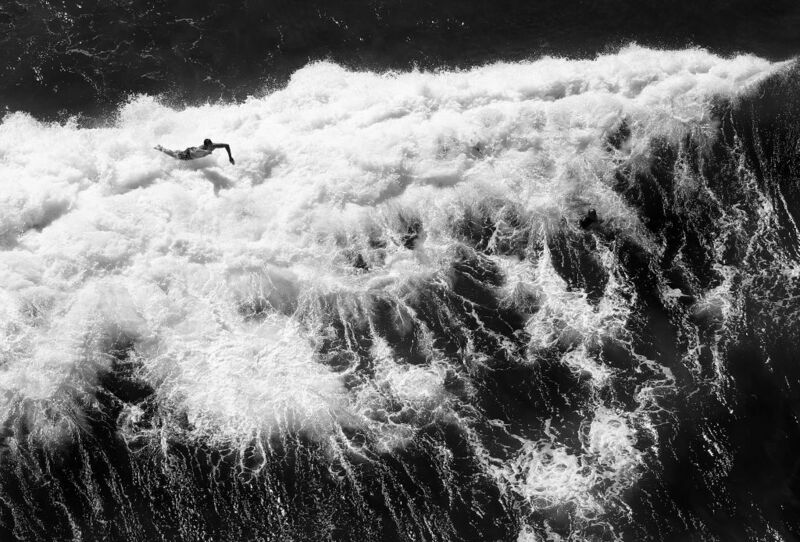 We don’t know if he made it out of this wave safely or not, but it looks like he could have felt some pain. Tennis is an amazingly fun sport to play. It’s an individual effort so there’s no blaming any other teammates for a loss. Things can get competitive too, so there’s no telling how what can happen in any given match. Usually, you play this game on a flat surface on the ground. 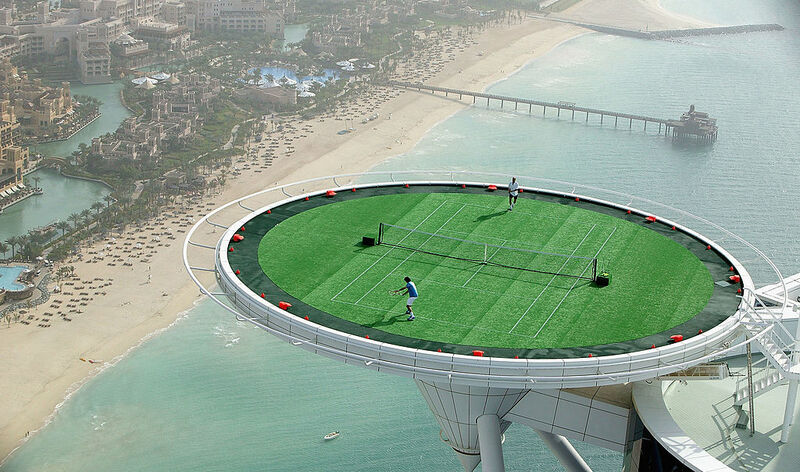 We don’t suggest you play on top of a helipad 211 meters in the sky. One false move and you might find yourself falling off! Playing in the snow is always enjoyable. It’s even better if you know how to snowboard or ski because then you have a different type of freedom and speed under your belt. You’re really good if you know how to do tricks. However, not everyone is so good at landing their tricks. 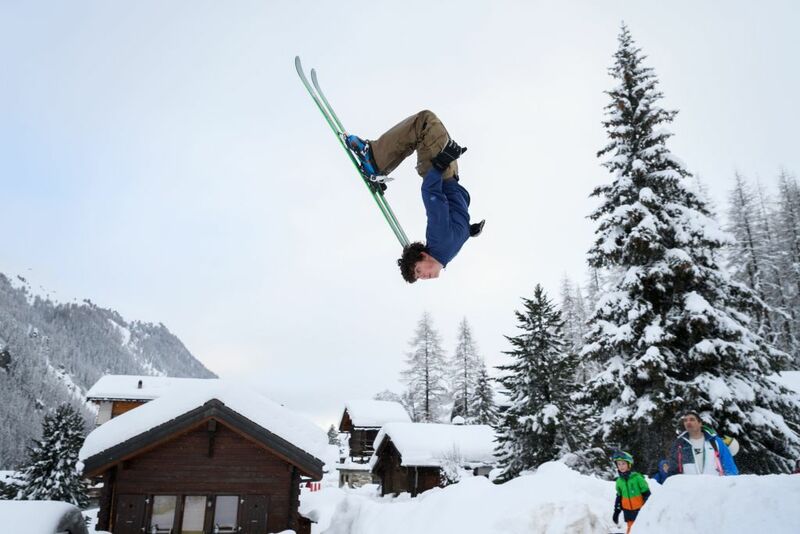 In this picture, you see a gentleman who is either going to land the best backflip ever, or he’s going to seriously injure his neck. Plenty of humans eat beef every day. Chicken and beef are some of the most commonly eaten foods in America. Not everyone is a vegan or prefers the plant-based lifestyle, which is fine. But do meat eaters know what’s happening with their food? If you like hamburgers then an image like this should bring fear to you. 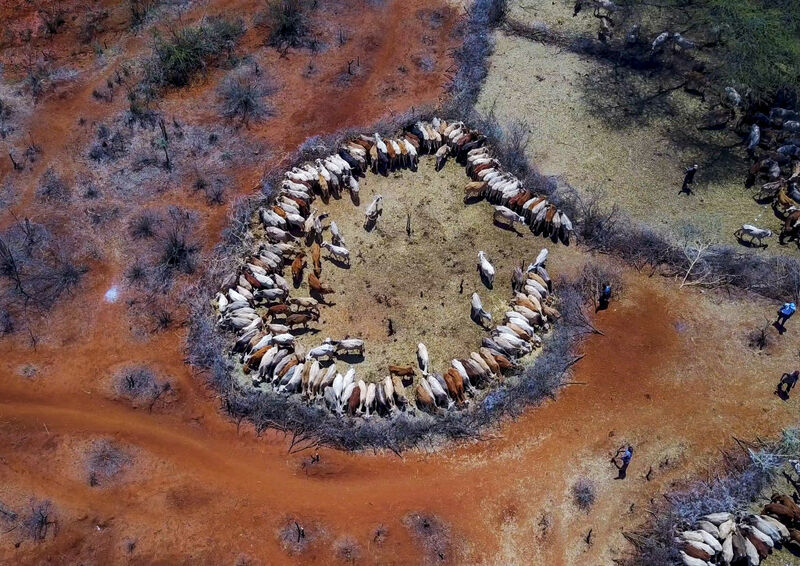 This is a picture of cows suffering during a drought. What are they going to eat? And are you still going to eat them after all they’ve been through? If you are lucky enough to live somewhere where you don’t have to constantly deal with disastrous mother nature, consider yourself lucky. Different regions get affected by different catastrophes and some of those are tornadoes. The wind can become very powerful and can even end lives and bring mass destruction. This is a photo of the aftermath of one tornado that hit Smiths Station, Alabama. At least 23 people died as a result of this beast of a storm. There aren’t many things that are more frightening than a hungry lion. That animal will gladly make you it’s lunch or dinner if you’re in the wrong place at the wrong time. Thankfully, this is a picture from a drone and not a really tall human. For if it was a person taking this picture, he might not have made it out of there alive. 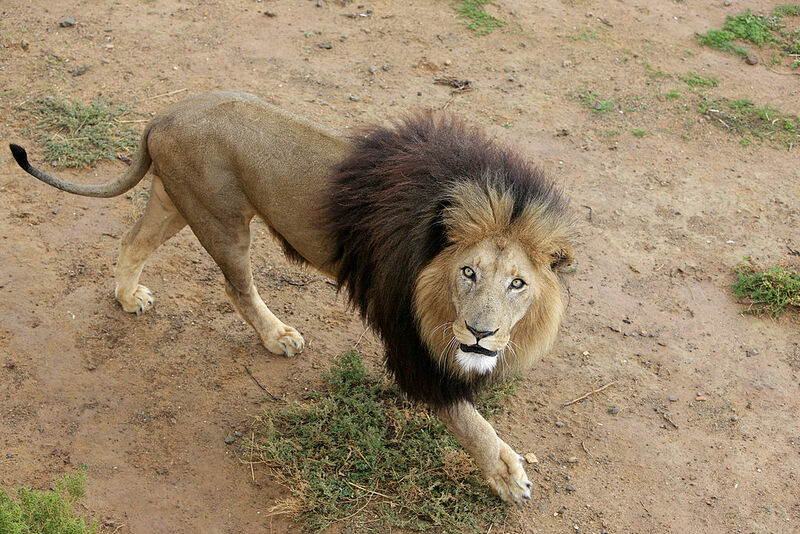 We aren’t saying all lions are dangerous, but a hungry one can’t be trusted. Witnessing a volcano erupt up close can’t be pleasant. Not only is it dangerous, but the eruption comes with a lot of later effects to those in the surrounding area. The smoke from all that hot lava will badly affect the air quality. 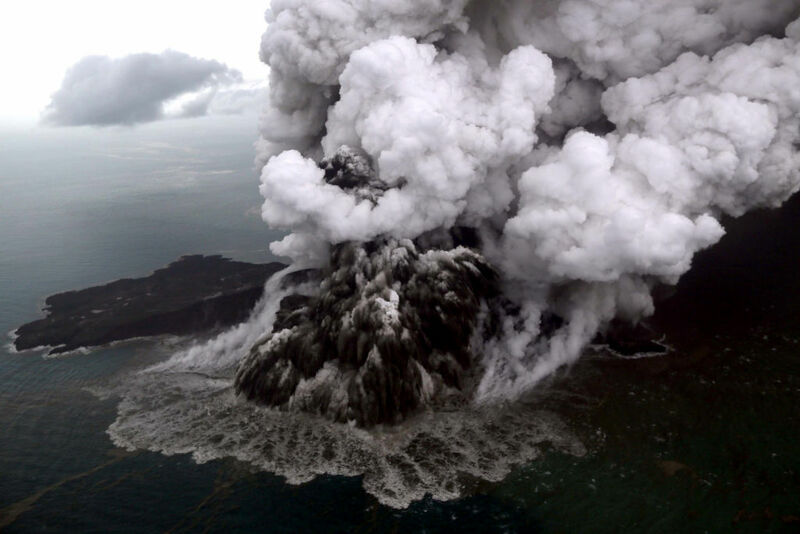 This eruption took place in a remote part of Indonesia. There are some places that have volcanoes where people actually live, such as Hawaii. Experiencing an eruption there would be even scarier than here. 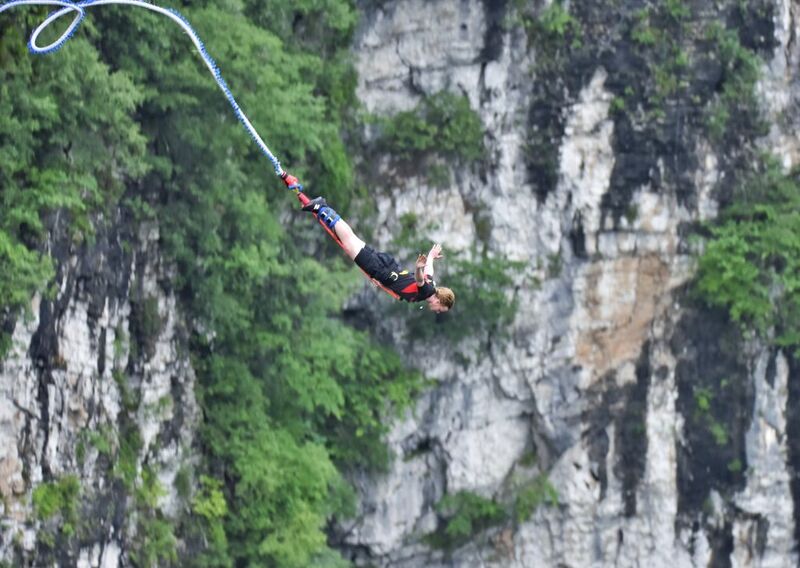 To those who have the courage to go bungee jumping, we applaud you. That’s one of the most exhilarating things someone can do. You’re extremely high up in the air attached to a bungee cord and then you jump. But who knows how durable the cord is? We aren’t telling you to stop trying this, we’re just saying bungee jumping is an anxious person’s worst nightmare. This picture perfectly captures the thrill and fear of it all. Would you ever sit on a giant crane in the sky? Pop star Pink is sitting here, suspended in the air with nothing but a rope attached to her. Once again, we wonder how strong that tether really is. This took place at V Festival in Hylands Park in 2017. Pink looks calm and relaxed on the outside, but we wonder how calm she was on the inside. Someone should ask her that in an interview. You’ve probably seen these types of attractions at the fair or some theme parks. This is the bungee jumping equivalent of carnival rides. Suspended in the air with a buddy, you have no clue how sturdy those poles are that hold you up. It may be fun while it’s happening, but the build-up to the ball’s launch into the air is enough to make anybody worried and frightened about what could take place while that high up. Coming across skeleton bones isn’t something pleasant. We aren’t talking about the kind that hang up in the science classes that you see on TV. We’re talking about real bones found in nature. Have you ever stumbled across anything like this? 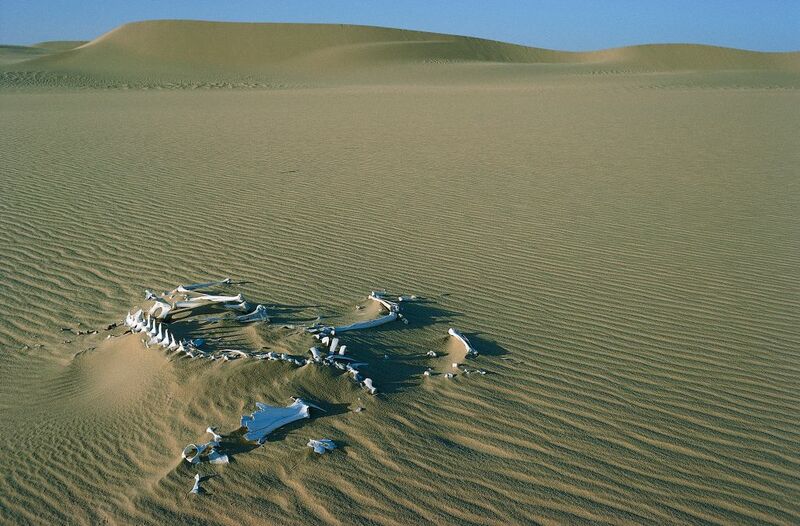 These camel bones out in the desert are probably there thanks to the extreme heat and lack of water. The animal could have also been a victim to a predator but we can’t know for sure. 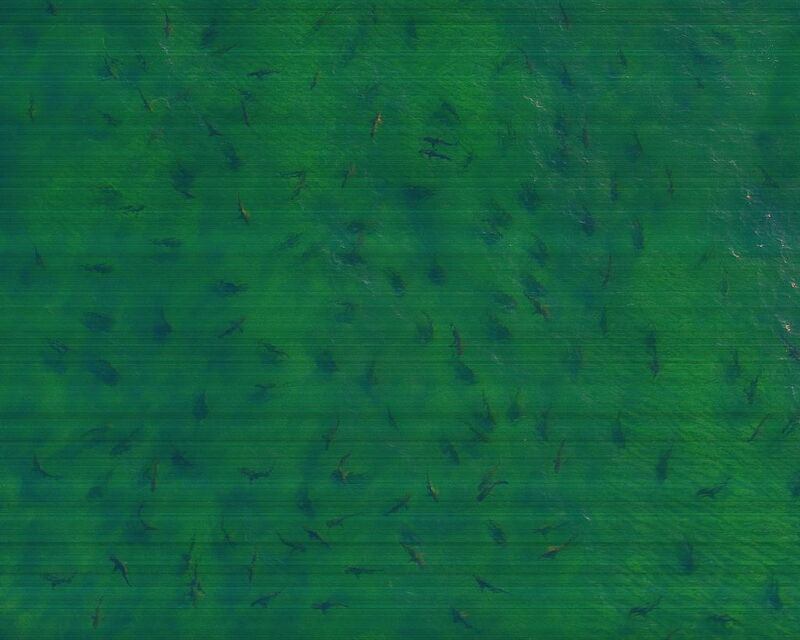 What would you do if you were swimming and at least a two dozen sharks swam up and surrounded you? That doesn’t sound like anything you want happening to you, does it? If not, we suggest you stay away from Palm Beach, Florida. Amazingly enough, there are people who create positive relationships with sharks and can get close with them without needing a cage. It takes years to get that comfortable with them, but it only takes seconds before you’re their food. We don’t know exactly what’s going on here or how safe it is, but this looks highly dangerous. 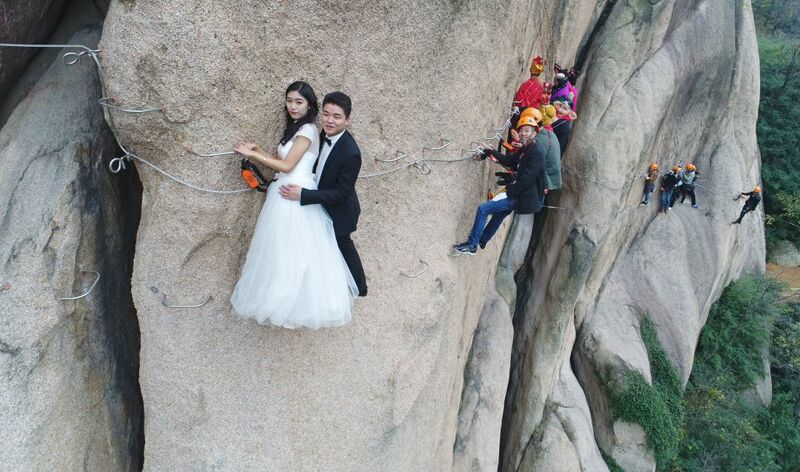 If this is a wedding for this couple, then they are extremely courageous, because we don’t know anyone who would be willing to try this out. To have the guests agree to take the climb with you is a whole new level of brave. The guy in front has a smile on his face so it seems like he likes taking risks on his life. Just looking at this image can stir up a person’s fear of heights. Then once you look a little closer you see that the guy in red is already jumping off the cliff, ready to glide to safety. It’s only safe if the parachute works properly. We’re sure they tested them to ensure that they will come out when the string gets pulled, but it’s still something we have our concerns over… because you just never know. 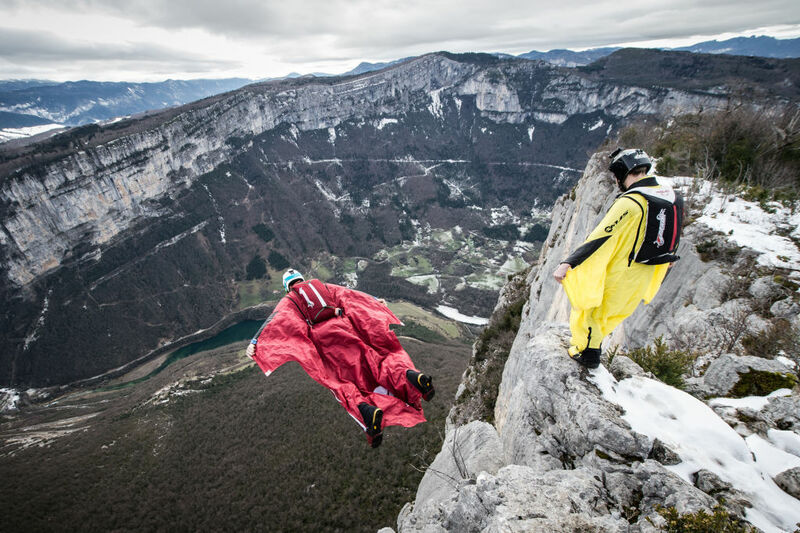 If you thought paragliding was something crazy to do, imagine hang gliding. The difference between the two is that the latter has a huge wing you have to take into account while you’re gliding high over the ground. 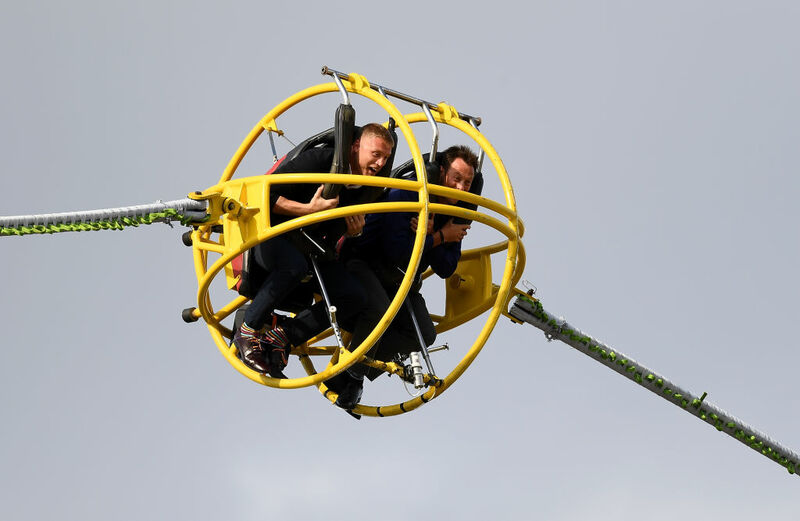 Neither activity seems very safe, but they do look like they will be fun for the right people. One jam of a parachute and things will get nasty quick. Kudos to everyone brave enough to engage in this for fun. Three snakes engaged in battle is a scene you probably want to steer clear of. 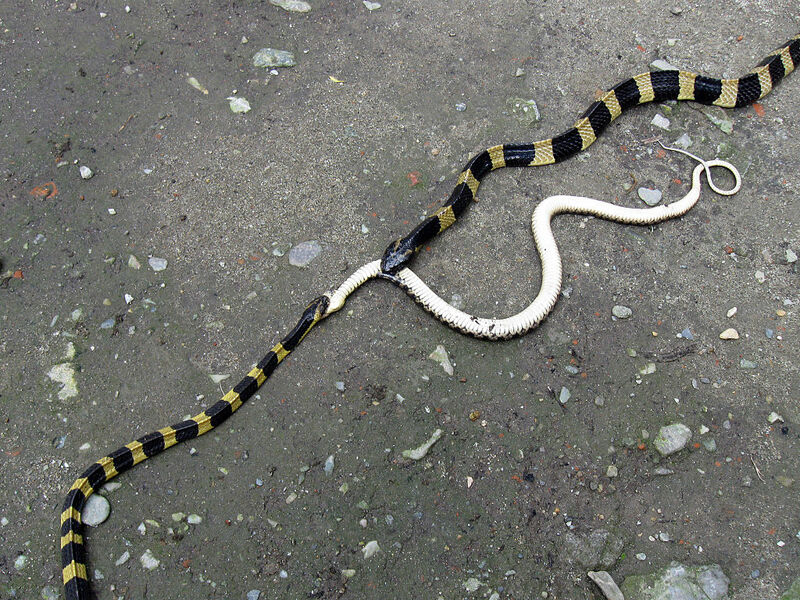 No one wants to get in the middle of deadly snakes trying to eat each other. It’s too bad the snake in the middle couldn’t defend itself. If you were to end up in the middle of this quarrel, then you might not have made it out alive. Some snakes are so poisonous that you can die in seconds if there’s no way of getting help. Car accidents never end easily. Especially if they involve a number of cars like you see here. 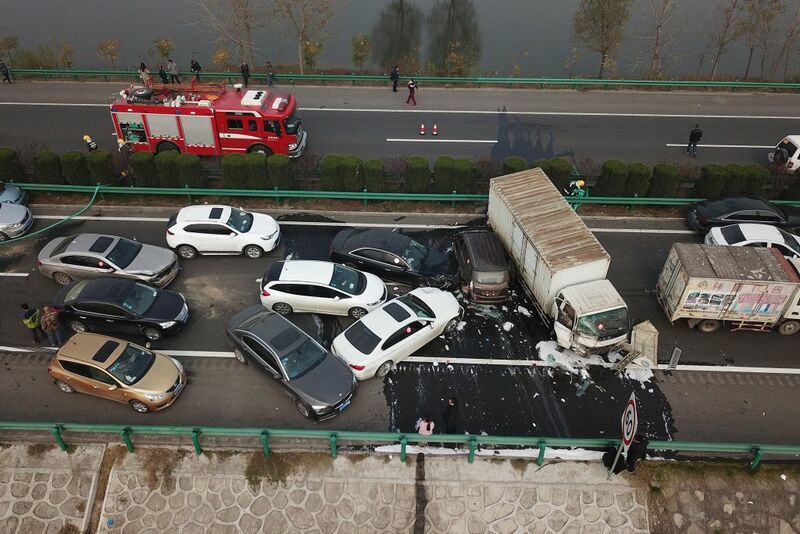 Sadly, these situations can end up fatal and that’s what happened in this picture in eastern China. These cars are twisted and broken. At least 30 cars were involved and 18 people tragically lost their lives. Even if you’re driving safely and minding your business you can still get sucked into something terrible while riding around. Always pay close attention to the road, please! 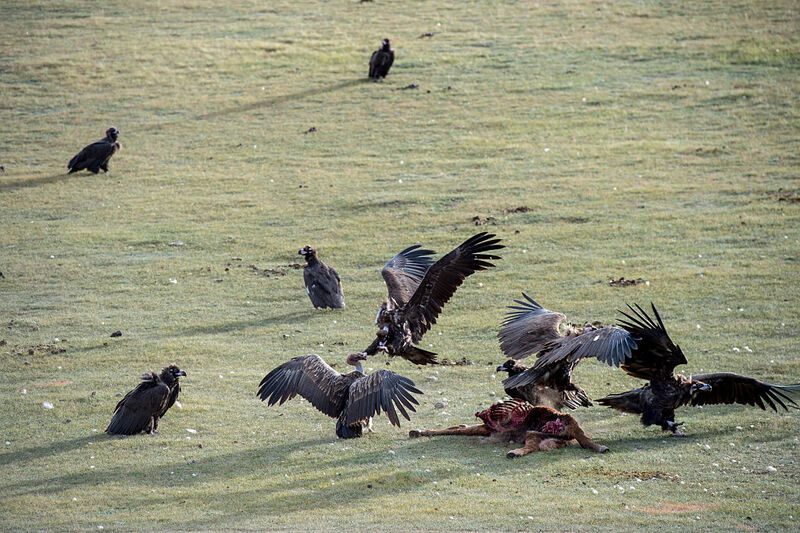 Whenever you see a group of vultures circling in the air, you should pay close attention to what’s around you. If they’re circling in the air it means they’ve found some food to feast on and most of the time, that food is already dead. You can see in this photo it looks like they’re eating what’s left over of a female lion. A dead animal also signifies that another big creature could be close by waiting for more.